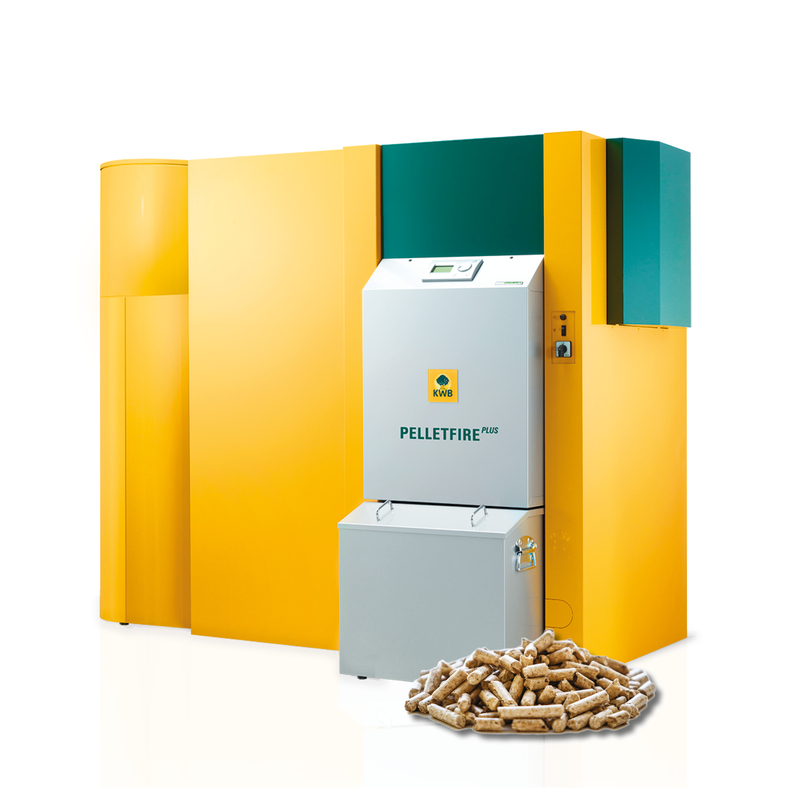 The PelletfirePLUS is a robust pellet heating system for economical heating on a large scale. 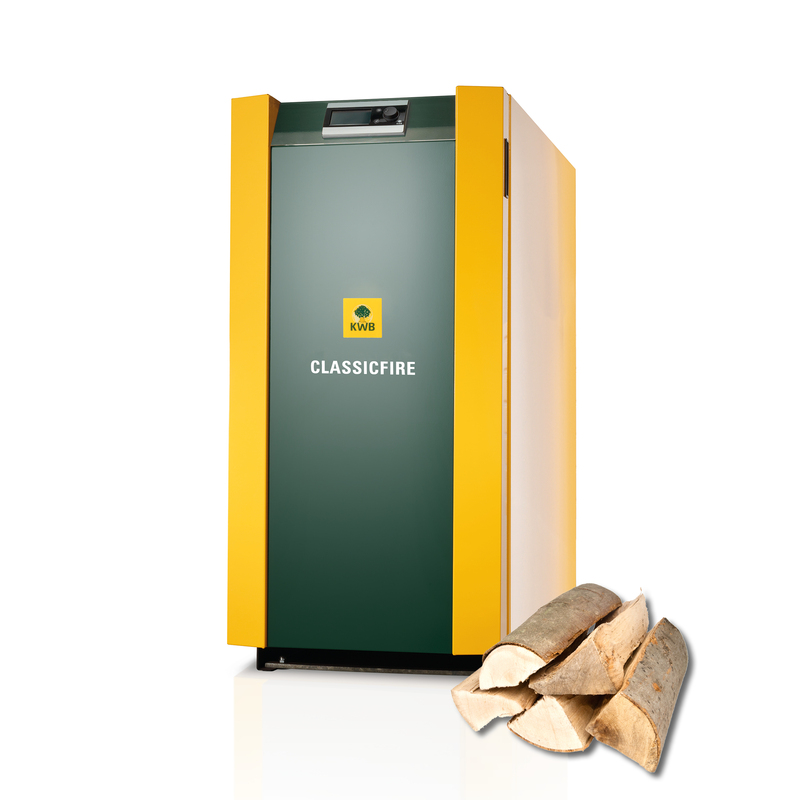 Its size is deceptive - despite its small footprint, it is capable of providing heat for large buildings, commercial and industrial settings, and smaller district heating networks. Its power range is 45 to 135 kW. The PelletfirePLUS comes with the easy-to-use 'Comfort 3' control panel, making it simple to operate. 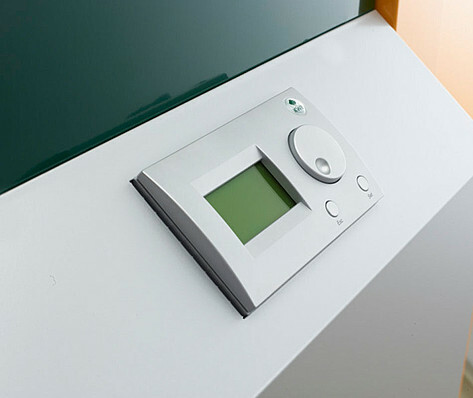 It is a 2-button control unit, with a simple dial and an intuitive graphic display. 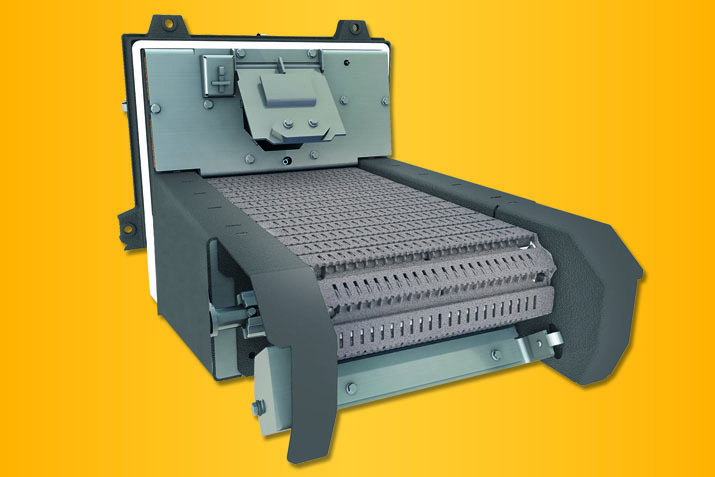 The crawler-burner enables the system to use fuels of varying quality, maintaining efficiency. It has very low emissions, and has a fully self-cleaning system within. 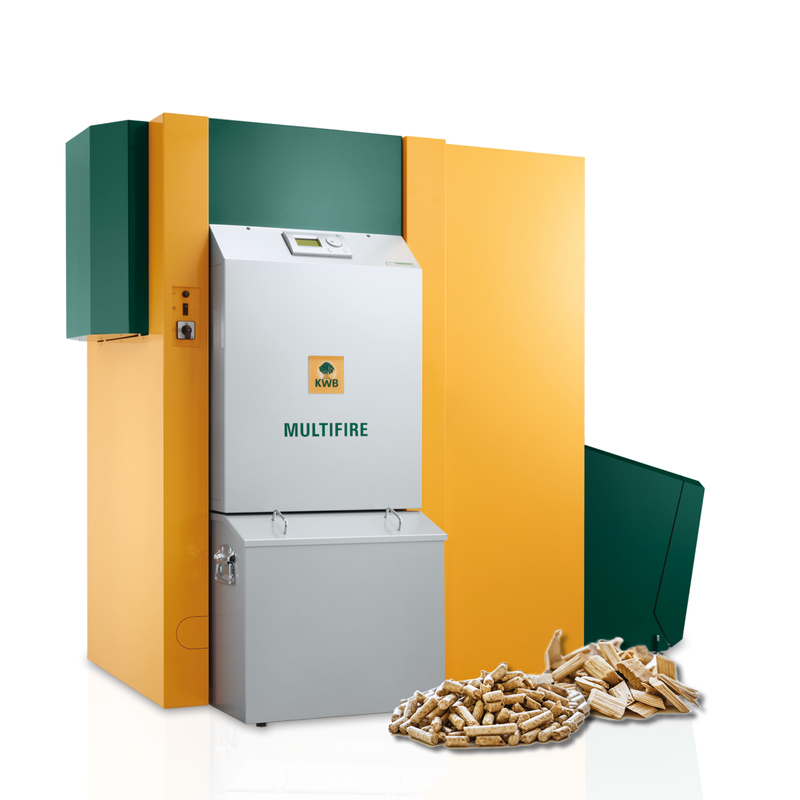 The new KWB PelletfirePlus is a pellet heating system of significant scale despite its small size. 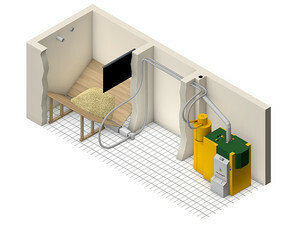 Its compact constructions allows for a unique space-saving configuration directly in room corners and can be easily transported into any type of heating room thanks to the option to disassemble the system into modules. 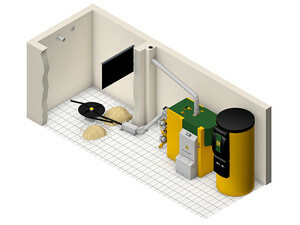 The heating system is of an advanced design, which can burn wood pellets and is also capable of burning agricultural pellets. 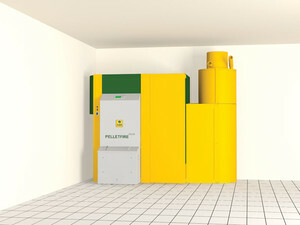 This fuel range is unique with respect to pellet fuels. The ease of operation is our highest priority, regardless of whether we focus on how to handle the ash container, on the system's quiet operation or the intuitive and very easy operation. The low power consumption is impressive and is the result of intelligent drive motors from the automotive industry whose power consumption depends on their load. 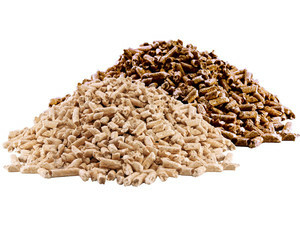 Aside from the construction of modern pellet heating systems, KWB possesses extensive expertise with respect to the optimal storage and conveyance of pellets to the heating system. It is possible to equip almost every storage room with KWBs flexible and diverse storage options. The Pellet Stirrer Plus consists of the stirrer, the gear unit and a conveyor screw, which can be custom-shortened on site. The great advantage offered by this conveyor system is maximum capacity utilisation of the storage room volume. This also means that it is not necessary to install an inclined floor. In addition, planning and installation efforts are reduced to a minimum for the tradesman. The Pellet Stirrer Plus can be combined with the pellet elbow screw, consisting of an ascending screw and screw extensions. This extractor model is suitable for square, round as well as rectangular storage rooms that are situated next to the heating room. The conveyor screw in combination with an elbow screw is the ideal solution for an oblong storage room, situated next to the heating room. The conveyor screw is available in various lengths and can be combined with an ascending screw and conveyor screw extensions if necessary. For storage rooms that are above the heating room, the conveyor screw is also available in a drop hose design. 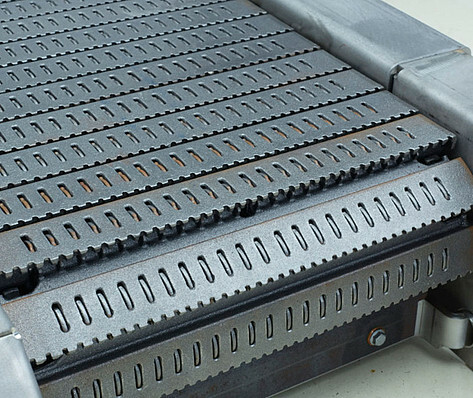 The extremely quiet conveyor system is maintenance-free, absolutely reliable and requires minimum power. 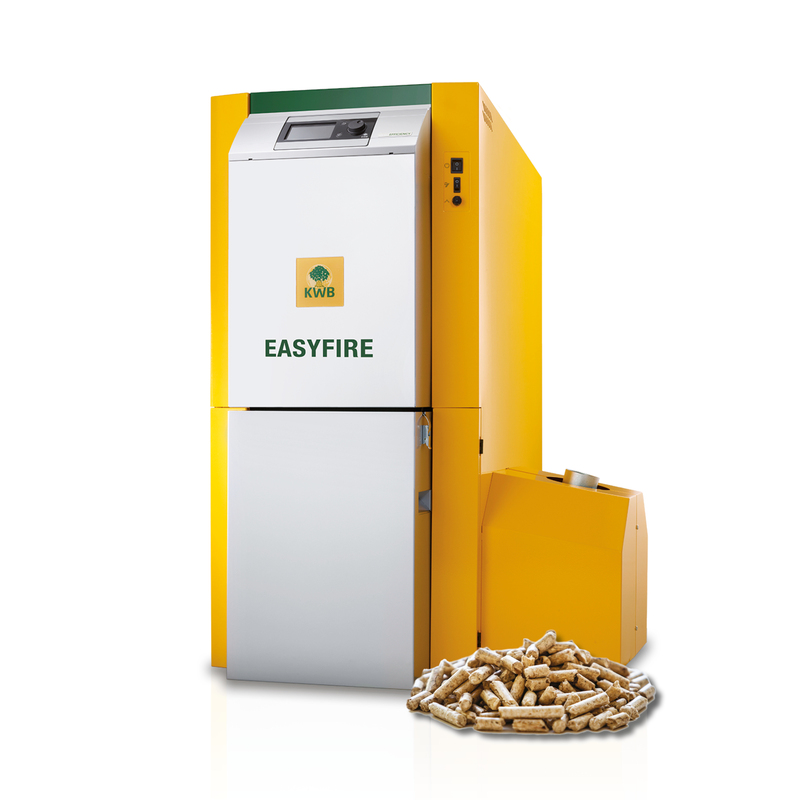 The Pellet Stirrer Plus extracts the fuel from the KWB Pellet Big Bag and transports the fuel to the heating system incombination with an elbow screw (Type EF2 S). The KWB Pellet Big Bag primarily scores points because of its optimal space utilisation. Standard sizes of 2.2 to 10.5 tons fill content are available for selection; they are made of dust-proof, anti-static fabric that is supported by a galvanised metal frame. If a certain minimum distance to the heating system is adhered to, the Big Bag can be set up directly in the heating room (depending on the local fire-safety regulations), in the storage room, or even outdoors, if it is protected against weather. 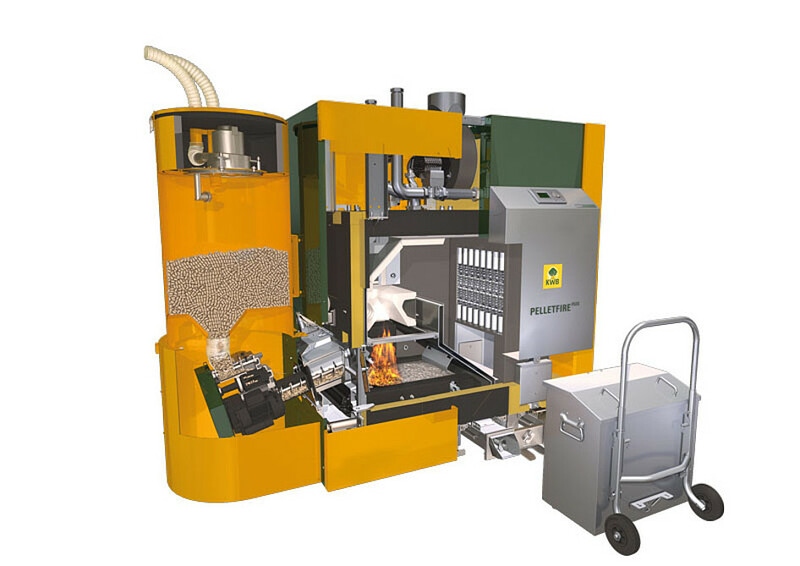 The Pellet Stirrer Plus extracts the fuel from the KWB Pellet Big Bag and transports the fuel to the heating system incombination with a suction conveyor (Type EF2 GS). The great advantage offered by this conveyor system is maximum capacity utilisation of the storage room volume. This also means that it is not necessary to install an inclined floor. In addition, planning and installation efforts are reduced to a minimum for the tradesman. 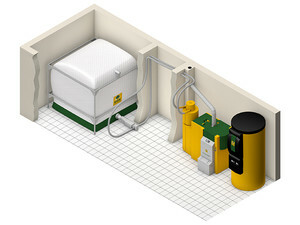 The Pellet Stirrer Plus in combination with the suction conveyor is particularly well suited for storage rooms that are further away from the heating room. It is thereby possible to realize suction lengths of 25 m and height differences of up to 5 m. Thanks to the acoustical optimisation of the suction conveyor system as well as generously-dimensioned storage container the system operates very quietly. The suction conveyor system consists of a suction turbine,storage tank, suction and return air hose and the modular,expandable conveyor screw. It is particularly well suited for storage rooms that are further away from the heating room, as well as for storage rooms adjacent to, above, or below the heating room. 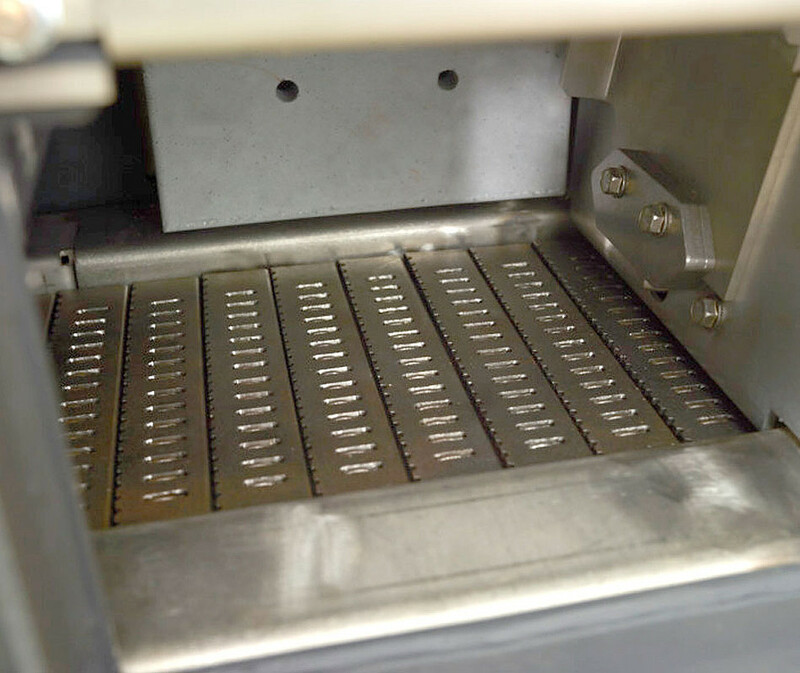 With this variant pellets are extracted from the storage room and transported by suction pressure from the suction turbine into the storage container via a suction hose. It is thereby possible to realize suction lengths of 25 m and height differences of up to 5 m. The system is absolutely reliable and operates very quietly due to acoustical measures. The conveyor system consists of a switchover unit with 2 integrated fire protection sleeves and 3 sampling probes, which are placed in the storage room and connected to the switchover unit via suction and return hoses. 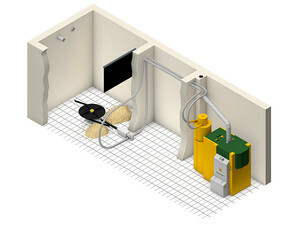 The switchover to pellet removal between the 3 sampling probes takes place automatically. The pellets are extracted by the suction turbine via a suction hose and placed in the storage container. 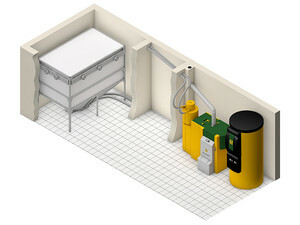 This system is especially well-suited for oblong storage rooms next to, above or below the heating room and distinguishes itself through its flexible use, low planning expenditures and easy installation. 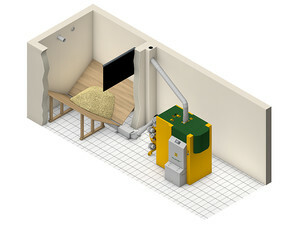 The KWB Pellet Box can be combined with a suction conveyor. Standard sizes of 2.1쟴o 6.7 tons fill content areavailable for selection; they are made of anti-static fabric that is supported by a galvanised steel frame that is adjustable for height. The fuel extraction from the fabric tank takes place with a screw with subsequent suction conveyance to the heating system. 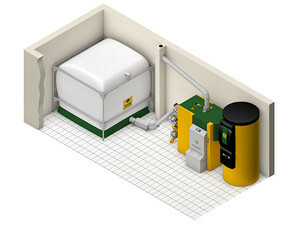 The KWB Pellet Box can be set up either directly in the heating room (maintaining a certain minimum distance to the heating system) or in a separate room, which does not need to satisfy REI90 requirements if certain preconditions are fulfilled. Local fire safety regulations must always be complied with. If appropriately protected from the weather such as rain and wind, the KWB Pellet Box can be even set up outdoors.